For over 60 years, Saunoris Florist has provided the Chicago land area with the finest flowers for every possible occasion. Our professional designers are available 7 days a week to help you create the ideal floral arrangement for any situation. The designs that we create will always exceed your expectations, but never your budget. Our selection is unprecedented. We offer different types of arrangements to meet all of your specific needs. 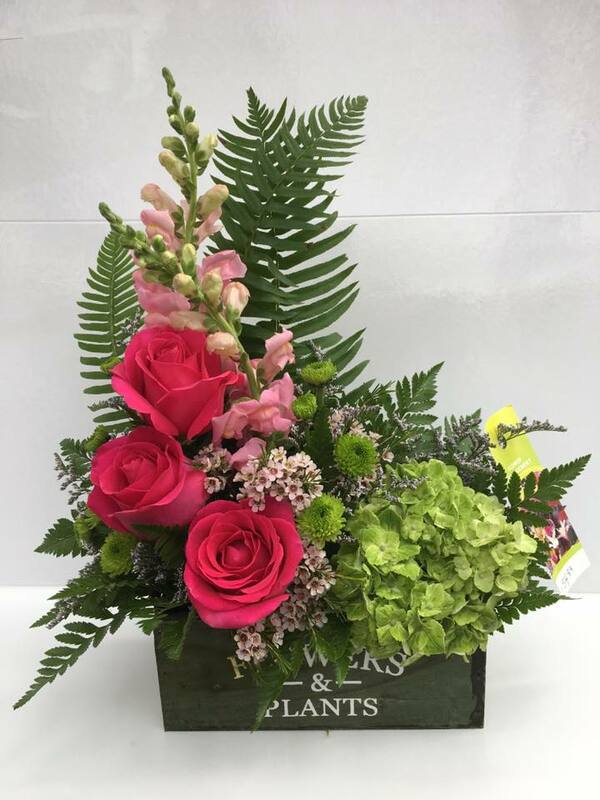 We have a large selection of fresh flower arrangements, silk flower arrangements, blooming plants, dish gardens, plant baskets, balloons, ribbon and much more. Delivery is available everyday, including Sundays. Stop into the store where you can visit our gist shop and take advantage of our huge walk in cooler. We have daily specials on all of our loose flowers, bouquets, and fresh arrangements that are picked up. We look forward to making you another satisfied customer. Our Store Hours are: Mon-Sat 8am-5pm, Sun. 9am-4pm. Sunday deliveries are to local funeral homes. To help assure on-time delivery during a busy holiday season, place your order at least 1 day prior to the following major holidays: Thanksgiving Day, Christmas Day, New Year's Day, Valentine's Day, Easter, Administrative Professionals Week, Mother's Day, Memorial Day, Father's Day, Independence Day and Labor Day. Our shop will always be open on Holidays for your convenience. Our shop serves the following areas in Illinois: The entire Chicagoland area, including Chicago Ridge, Worth, Oak Lawn, Hometown, Alsip, Crestwood, Palos Heights, Merrionette Park, Palos Park, and Orland Park. If you have any questions or need more information, please contact us by e-mail at saunorisflorist@yahoo.com or call us directly at (708) 422-0972. We're always here to serve you and make your flower-sending experience a pleasure.